Big-city Lawyer. Country Farmer. In the normal course of events, their lives would never intersect... But some accidents aren't meant to be avoided. When attorney Reggie Meyers crashes into Dylan Monroe on the freeway, it makes a bad day even worse—or so she thinks until she discovers she’s the prey in the deadly hunt of an unknown killer. Now, trusting this man she hardly knows is Reggie’s best chance for survival. The problem? Reggie doesn’t trust anyone. When Dylan catches a glimpse of Reggie’s ransacked apartment, his protective instincts kick in. He wants to help her, but she’s not inclined to believe a simple country farmer has what it takes. Reggie doesn’t realize Dylan knows a lot about hunting—and being hunted. He’s up for the task of trapping a killer, keeping Reggie safe, and winning her heart—if she’ll let him. Heads whipped around as if a bomb had exploded, instead of a whisper. No, no, no! This can’t be happening. Reggie Meyers’s insides turned to mush, but she turned towards the head of the table with a smile pasted on her face. She laid the pen down on the contract. It wouldn’t do for others to notice her hand shaking. A trembling pen would be a dead giveaway. “I’m sorry. Did you say unacceptable?” Reggie looked at the owner of Lightning Bolt Enterprises. “That’s what I said.” The older man’s snow white mustache twitched. Maybe, it was a joke and he was trying not to smile. She waited for the punch line. It didn’t come. If she blew this deal with Lightning Bolt, she’d get fired for sure. Her future at Benton and Greene, Attorneys at Law looked bleak. Reggie glanced around the table. Not one person looked at her. Not a good sign. Mr. Howard looked at his watch. He was going to agree. It would be OK. He gave the famous lightning bolt smile that had made him and his company renowned. “Sorry, these negotiations are now over.” His blue eyes twinkled, then he turned and walked out the room. Cleveland-Hopkins Airport teemed with tired, frustrated, and cranky people as Reggie waited for her luggage at the carousel. We’ve forgotten the spirit of thanksgiving. A tall, blonde curvaceous woman swung an expensive bag over her shoulder, greeting Reggie with a smack. “I’m fine, really.” Humiliation stained her face. “Perhaps. Thanks. I guess these instruments of torture aren’t enough.”She lifted a foot to show off her cute new heels. Reggie bit her lip. She looked up at the blue sky from the atrium windows encircling the baggage claim area. Slinging her long blonde locks behind her, the woman lowered her head and squinted. “I can hardly see it at all. Just a tiny lavender-tint in the center of your forehead. Don’t worry, sweetie, you should be home long before it turns dark purple. Come on, follow me.” She twirled around and headed towards the luggage bins. A grin spread across Reggie’s face as she thought about the famous doll and the woman who looked just like that toy. Pulling up the handle of the luggage, she zigzagged her way through the human wall and out to her car. Her head hurt, but the pain in her feet triumphed. What had possessed her to choose heels on a day spent trudging through crowded airports? Her favorite running shoes would have been a better choice. She rubbed the dull thump in her temple as though it might help her feet and headed out to the parking lot. Exhausted and hungry, Reggie drummed bright red fingernails on the steering wheel and scowled at the clogged arteries of Cleveland’s nightly commuter nightmare. The traffic jam resembled her life, a jumbled out-of-control mess going nowhere. Her mind flashed to the call she’d made to her boss informing them of the failed meeting. A high school English teacher. As if that explained everything. And as usual, no one at fault, but herself. It wouldn’t be fair to blame the assistant who typed up the final contract. It was her responsibility to double check. It wasn’t her first mistake at Benton and Greene, but it might very well be her last. Reggie sighed. She’d been positive her life would be perfect after accepting her first position as an attorney less than a year before. Sure, she had more money but…but so what? The car behind her inched up. She glanced at him in her rearview mirror. Coming home from her business trip the Wednesday before Thanksgiving had been a bad idea. The fact that it was a holiday hadn’t even crossed her mind. Checking her watch, she calculated the last time she’d eaten. Reggie leaned over and grabbed her purse. She plunged a hand deep inside, gliding over each item like a woman reading Braille. Frustrated she wiggled her finger into one of the corners. A crisp crackle followed by a stab of stiff plastic gave her hope. Pulling her hand out, a single wrapped butterscotch dangled from underneath her nail. “Yes!” She fist-pumped the air. A piece of candy would tide her over. She unwrapped the butterscotch, popped it in her mouth, and savored the sweet buttery taste before focusing once again on the traffic. Spying a hole in the traffic, Reggie pressed against the gas pedal and her car shot off the entrance ramp into the slow lane. She checked her side mirror. She swerved into the middle lane and smiled in victory. One more lane to go. Reggie frowned. A second and a third thump followed. The car shimmied and swayed. Not good. A flat tire? Could this day get any worse? She flipped the right turn signal but nothing happened. Looking over her shoulder, an old beat-up truck lumbered along in the slow lane, but she could make it. She motioned, hoping he would see her. Reggie took a deep breath, and made her move. Tires screeched. She breathed a sigh of relief. She hadn’t heard the thumping noise in the last minute either. Maybe, it wasn’t a flat, after—a tiny black and white dog darted out from the bushes at the side of the road and charged into the traffic. She slammed on the brakes. Reggie looked in the rearview mirror, but all she saw was blue. Panic bubbled up, but before she could react, the truck slammed into her. 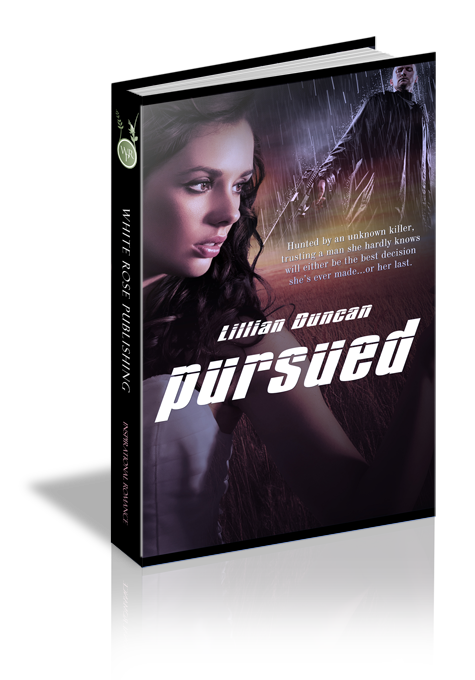 Her head slammed against the window as the car spun out of control. She stomped the brakes, but the car kept spinning. After what seemed like hours, the car jolted to a stop. Stunned, Reggie sat in her car immobile. Her breath came in little gasps. She lifted her head off the steering wheel and pain ricocheted across her skull. Closing her eyes, Reggie put her head down, working hard to stay calm. It’s a nightmare. The whole lousy day isn’t real. This many bad things don’t happen to one person in one day. It has to be a dream. After a moment, she opened her eyes. Nope, Still in the nightmare. She inventoried injuries. No blood, thank goodness. After wiggling her toes, she stretched her back. She massaged the spot where her stomach hit the steering wheel. Tender, but not too bad. No serious damage. Everything seemed to be working, but she’d managed to hit her head in the exact same spot as before. Someone knocked on the window, startling her. Twisting her head, a small moan escaped. Pain shot across her shoulders. Reggie stepped out. The sky dimmed. The whine of cars and eighteen wheelers grew distant and she swayed. Callused hands clamped onto each arm, guiding her forward until she landed face first, into a chest of red flannel. The shirt smelled of fresh cotton mixed with the muskiness of his cologne. Smelling salts to her senses. Warm, strong arms surrounded her, as she struggled to remain standing. Horns blared. The squeal of brakes nearby sent a shock of fear through her. “Do you need a paramedic?” He gave her a gentle shake. She took a deep, slow breath and exhaled. Another horn sounded, startling her as a car whizzed by. The man’s dark hair, curling from under the brim of his hat, flapped in the car’s wake, and he shifted his body closer to her car. “My dog. His leash broke. I’ve been chasing him.” He wiped tears from his dirt covered face. “There he is. On the other side.” The man from the truck announced. The dog barked as he zeroed in on his boy. “Oh, no.” Reggie moaned. Visions of the dog running into traffic and being smashed in front of this little boy danced in her head. The truck driver waited for an opening, and then dashed across the highway. Horns rang out, but the cars slowed. He picked up the little black-and-white dog and crossed to where she stood with the little boy. The puppy yapped and clamored to get to his owner. “OK, now you need to go. This isn’t a safe place. Can you find your way home?” Reggie asked. “I just live right over there.” He pointed beyond the bushes. He clasped his dog and ran back with his canine buddy tucked safely under his arm. “I think I’m OK.” Reggie tugged at her skirt, wishing she’d worn something more comfortable. She hobbled to the back of her car. “I did, but it must be broken.” Biting her lip, she refused to cry. Attorneys were supposed to be tough, not fall apart over every little thing. “Actually, this happened earlier.” She touched the knot. “Let me guess…it doesn’t work.” He looked ready to laugh. “Are you OK? I think you hit your head on the steering wheel. You didn’t have your seatbelt on.” The man stared at her with concern. The man shook his head. “I’m sorry, I didn’t see the dog, I didn’t have time to brake. I wouldn’t have hit you if I’d seen him, too. A police cruiser pulled in behind her ruined car. True friendships are priceless. What are some examples showing that type of friendship in the story? Q2. That type of friendship is rare. How do you think friendships such as those are formed? Q3. In our busy, stressed-out lives, how can we find the time to develop true friendships? Q4. Dylan and his family go out of their way to help others even when it's inconvenient, what does that say about their faith? Q5. Can relationships (romantic or otherwise) be successful between people with radically different backgrounds, such as different cultures, education level or socioeconomic level? Q6. Is there a Bible character, event, or parable that Dylan reminds you of? Q7. Do you think Dylan was wrong to invite Reggie to spend Thanksgiving with his family, knowing someone was "after her?" Q8. Dylan's mother was concerned about him being "unequally yoked." Do you agree or disagree with her concern? Why?